Apple fans living outside the US are finally going to be able for to bag an officially unlocked version of the iPhone 5. If you are one of those consumers who plan on buying an iPhone for the first time, you might be unaware of some of the common issues people may face with the iPhone (especially an unlocked version). After all, you are a proud consumer of the iPhone; and it’s not just like any ordinary phone. 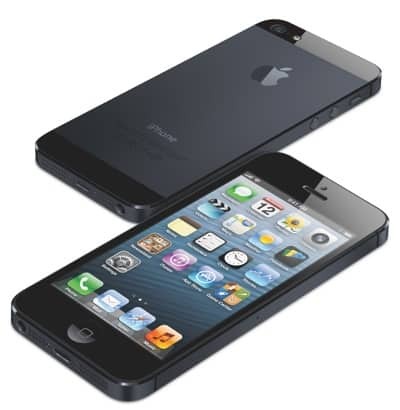 – The iPhone 5 being shipped outside the US is a GSM model. It will support any GSM carrier around the world. As far as 4G is concerned, this device supports LTE bands 1, 3 and 5 which are commonly used by most of mobile service providers around the world. However, if your carrier does not support LTE, the phone will automatically switch down to a 3G network. – Since you are buying an unlocked contract-free iPhone, it will cost you $699 for the 16GB model instead of the reduced price of $199 for the contract-bound phones in the US. – The iPhone 5 has a nano-SIM card slot, which is smaller than the regular SIM card. – You will need to install iTunes on your computer in order to transfer content between your phone and computer. – You must have an active SIM card and internet access (or a computer with iTunes installed) in order to activate your iPhone. The iPhone 5 supports only nano-SIM cards. If you do not have a nano-SIM card, there are various ways to get hold of one easily. Mobile Carrier: You can ask your service provider to issue a nano-SIM for you; although not all service providers issue nano-SIM cards. Third-Party Vendors: You will find a lot of third party vendor shops around which offer to trim your mini-SIM or micro-SIM card into a nano-SIM at a small price. Nano-SIM cutter: You can also use a nano-SIM cutter like this one to cut your mini or micro-SIM cards into a nano-SIM. Just insert your mini-SIM into the slot and press the handle to cut out the SIM. Manually using ruler, pencil and scissors: If you believe you have a steady pair of hands, this guide will explain how to cut out a nano-SIM from a micro or mini-SIM. Now that you have a nano-SIM card, you can go ahead and insert the SIM. Here again, iPhone has its own unique way of inserting SIM cards. The nano-SIM tray resides along the right side of the Apple iPhone 5. If you look carefully u can see the SIM card slot with a pinhole in the center of the tray. The iPhone 5 product box comes along with a tool to open the SIM card slot. It can be found inside the instruction leaflet. If you lose the tool though, a paper clip or a safety pin might be able to do the job. Take out the tool and place the pointed end inside the pinhole (in your iPhone). Make sure it is inserted vertically and apply some pressure till the SIM tray pops out of the side. Take the tray out and place the nano-SIM in the slot available in the tray. Push the tray back into the iPhone. Now that your SIM card is ready, the next step is to activate your phone. You need Internet access (Wi-Fi or 3G/4G) to activate iPhone 5 for first time use. If Internet connectivity is not available, connect your phone to your computer using iTunes. When you power up the iPhone 5 for the first time, it will ask you for set up. In short, the setup process involves the following steps. 6. Creating an Apple ID. 8. Enable phone backup in iCloud. 9. Activate “Find My Phone”. It lets you track your iPhone in case it is lost. 10. Set up an Email account. 11. Enable Siri, iPhone’s native virtual assistant. And that’s it. You are immediately taken to the home screen where you can see all your pre-installed apps. All iPhone apps run in a protected environment known as the Sandbox. The apps run within their separate environments without affecting any other app. This also means that apps can only access their own data. Unlike Android, which gives you access to flash drive contents on mounted SD Cards directly, the only way to access data on the iPhone is through specific apps – Photos for pictures, Music for audio files, or Videos for watching videos, and so on. You can transfer data to the iPhone using iTunes. There is no way to access the iPhone’s drive contents directly. When you connect the phone to the Computer, the only files accessible on the computer are those that are located inside “Camera Roll” inside the iPhone. iPhone combines all the phone and app specific settings in a single Settings app. The Settings app can be launched from the Home Screen. The App Store is a one stop shop for all your iOS devices. Apps have been broadly classified according to various app categories. Currently, there are more than 700000 free and paid apps available in the Apple App Store. People often say that the App Store contains more number of paid apps than the Android platform. In our observation however, only very few apps were paid on iOS while being free on the Android platform. In fact, iPhone apps were smoother, memory efficient and more beautiful than their Android counterparts. The Bluetooth on the iPhone 5 is different from Bluetooth found on other multimedia mobile phones. iPhone will generally only support file transfers between other iOS devices via Bluetooth. Additionally, the Bluetooth also supports other Bluetooth enabled peripheral devices like mouse, keyboard, speakers etc. The term “jailbreak” generally means to unlock your iPhone from its various restrictions so that iOS becomes fully customizable. By jailbreaking an iPhone, one will be able to gain access to actual system files and modify them; hence opening the doors for a more personalized iOS. However, a jailbroken iPhone is no longer secure as it disables many of Apple’s security features and destroys the Sandboxed state of the apps. With a jailbroken iPhone, one can easily access or modify core files without any restrictions. It also voids your warranty and support from Apple Inc. It is thus recommended not to jailbreak your iPhone during the warranty period if you can avoid it. If you have followed this article, you will be able to get started with your iPhone easily. However, if you do have questions, feel free to ask via the comments section.